← Does The Obama Administration Even Want To Win In November? This guest post was contributed by Norman I. Silber, a Professor of Law at Hofstra Law School, and Jeff Sovern , a Professor of Law at St. John’s University. They were principal drafters of a statement signed by more than eighty-five professors who teach in fields related to banking and consumer law, supporting H. 3126, which would create an independent Consumer Financial Protection Agency. Some of the research on which this essay is based is drawn from an article by Professor Sovern. Professor Zywicki’s argument enjoys, at least, the modest virtue of technical accuracy, because many objectionable misleading sales practices and agreements that lenders used were, and continue to be, unfortunately, quite legal. Lending practices may have been regularly misleading and confusing and reckless-but fraudulent? Well, no, usually not unlawful by the remarkably low standards of the day. But that in itself is an argument for saying consumer protection laws failed. Professor Zywicki’s case for denying that better consumer protection rules would have mattered quickly becomes technical and rather disingenuous, hinging as it does on the difference between denying that there were inadequate restraints on imprudent lending, on the one hand, and insisting that there were definitely “misaligned incentives,” on the other. If the lassitude of the government agencies who were responsible for financial consumer protection is not to blame, then who was responsible for all the euphemistic “misaligning”? Zywicki manages to blame the financial crisis on “extraordinarily foolish loans” that created incentives for borrowers to borrow unwisely, but absolves the regulators who could have prevented those foolish loans from being made. Zywicki’s research leads him to conclude that the onset of the foreclosure crisis “was [initially] a problem of adjustable-rate mortgages, whether prime or subprime.” It might have been useful if he recalled that even if true, it was still the case that inadequate disclosure of the implications of potentially exploding adjustable-rate mortgages was a matter of serious concern to consumer groups. In the second phase, he says, “falling home prices provided incentives for owners . . . to walk away from their houses.” It might have been useful to recall that if the carrying cost of mortgages had been more closely supervised as a matter of consumer protection, the problems would not likely have been as severe. First, lenders made loans that virtually invited default. Thus, Countrywide’s manual approved the making of loans that left consumers as little as $550 a month to live on, or $1,000 for a family of four. And lenders qualified borrowers for loans based on a temporary low teaser rate even though they knew that borrowers would not be able to make the higher payments required when the teaser rate expired. Of course, when loans became unaffordable, lenders could anticipate that borrowers would refinance, triggering a new round of fees for lenders-but they gave too little attention to the possibility that the loans could not be refinanced. Consumer protection laws failed to prevent this disaster-in-the-making. Second, the Federal Reserve’s disclosure rules made it impossible for adjustable rate mortgage borrowers-and 80% of the subprime loans were adjustable–to understand the risks they faced. Since the eighties, the Fed has mandated that the disclosures for such loans state figures for monthly payments that are simply wrong. That may have led consumers to believe their loans would be more affordable than they were. One of us recently presided over a survey of mortgage brokers that revealed that many borrowers spent little time reviewing those disclosures and never changed what they did because of them-something that ironically makes sense when the disclosures are misleading. Better consumer protection laws would have enabled borrowers to know when they risked getting in over their heads. A third consumer protection failure connects to Zywicki’s claim that borrowers “rationally switched to adjustable-rate mortgage when their prices fell relative to fixed-rate mortgages.” The problem is that many adjustable-rate borrowers did not realize that their loans were adjustable. Thus, a study of borrowers in certain Chicago zip codes found that “the overwhelming majority” of those who received adjustable-rate loans had thought their loans were for fixed rates. The authors explained that “In every case where borrowers were surprised to be told they were receiving an adjustable rate loan, the Loan Originator had told the borrower that the rate was ‘fixed’ but neglected to mention that the terms for which the rate was ‘fixed’ was limited to 12 to 36 months.” It was not until 2008 that the Fed reined in this practice. These problems could have been forestalled by an agency focused on consumer protection. Why weren’t they? We believe that Zywicki is right to focus on incentives but wrong to ignore the incentives faced by regulators themselves. The economic crisis was caused in part by incentives built into our consumer regulatory structure that encourage regulators not to protect consumers. A CFPA would have different incentives. For example, in 1994 Congress gave the Federal Reserve the power to bar unfair or deceptive mortgage loan practices and abusive lending practices in connection with mortgage refinancing-powers that would have enabled the Fed to prevent the foolish loans Zywicki complains about, and the practices described above. Yet the Fed did not use that power until 2008, long after the subprime loans had tanked. And it was only last summer that the Fed proposed to change its misleading adjustable-rate mortgage disclosures. Perhaps the reason lies in the fact that the Fed is primarily an agency devoted to monetary policy, where consumer protection is reportedly seen as a backwater. The leaders of the Fed are chosen not because of their expertise in consumer protection, but because of their mastery of economic policy. Thus, the Fed’s incentive is to focus on monetary policy. An agency with protecting consumers as its sole mission would surely not have waited almost twenty years to act while lenders provided borrowers with false and useless disclosures. A second problem with the current structure of consumer protection regulators stems from the fact that because lenders have some power to choose which agency will regulate them, agencies have an incentive to go easy on consumer protection regulation to avoid chasing lenders to other agencies. For example, four days after the Connecticut Banking Commissioner examined one Connecticut lender, the lender notified the Commissioner that it was becoming a subsidiary of a national bank, thereby excusing it from compliance with Connecticut banking law. The incentive to retain lenders to regulate is especially strong for regulators, like the OCC, that depend on fees provided by their lenders to finance their operations. That may explain why the OCC took the position that state anti-predatory lending laws did not apply to the lenders within its jurisdiction-laws which might have prevented some of the lending that led to the subprime crisis. But if lenders could not choose their regulator, regulators would lose the incentive to compete to protect lenders from consumer protection laws. Zywicki is right that we need “simplified and streamlined regulation.” The problem is that the existing structure, with consumer protection split among an alphabet soup of agencies, such as the OCC, OTS, NCUA, FDIC, HUD, FTC, and, of course, the Fed, among others, is not likely to produce simplified and streamlined anything. We share Professor Zywicki’s concern that the Truth In Lending Act needs pruning, for example. The best way to attain simplified and streamlined regulation is to simplify and streamline the agencies that produce it-by reducing them to one. Doing so would concentrate consumer protection expertise in one place and enable accountability. And, we assert, if it had been done a few years ago, the financial crisis might have been averted. This entry was posted in Guest Post and tagged CFPA, financial regulation, mortgages. Bookmark the permalink. “The fair market value is the price at which a property would exchange hands between a willing buyer and a willing seller, neither being under compulsion to buy or to sell and both having reasonable knowledge of relevant facts.” US v. Cartwright, 1973. Oops. We have here a transaction where relevant facts are demonstrably one sided . Then, one has usually offered to buy a property and seeks a mortgage. All in all though, the American seems to be increasingly approaching being ” as dumb as a door post” in the Great Information Age. The more the information, the greater the ” dumbness”? I, myself had to fight a mortage broker and lawyer who were commiting fraud in the loan that i applied for vs the loan that was presented. Also i have witnessed fraud in other forms, where the bank itself knew the application was fraudulent yet looked the other way because they knew they were going to securitize the loan and push it off their books. They were complacent in the fraud because it helped them make profits until it all caved in on them. I don’t understand why so many of you partisan numbnuts can’t just say that many parties contributed to the crisis: foolish consumers, captured regulators, aggressive banks, aggressive lenders, the Fed, etc. It’s silly, and unnecessarily political, to dig your heels in insist the problem was primarily unsophisticated consumers or primarily evil bankers. With that said, anyone who gets near any consumer of a loan of any type or for that matter even the applications should be registered and regulated just like a stock broker is. The difference here is that stock brokers a regulated by their own indusrty. This is a better idea than a government agency because it is funded by the industry. SRO’s have been very effect in protecting the consumer. Does anybody who have brokerage accounts feel like they do not have consumer protections? It all started with the tech bubble burst and mild recession of 2001, and the low rated at the Fed. Anyone who bought a house from 2003-2007 was to blame. You knew it was too good, but said, prices are rising, and if I do not buy now, I will miss the boat of appreciation, and be priced out of the market forever. Then if you were really dumb, you thought your measly 30-60k salary would get you a 300-500k house, and so you jumped on these ridiculous loans, that you knew you did not know. Calculated risk, that blew up on you, and if enough people blew up, the entire thing blew up including the the US economy which had become hooked on housing as the engine of economic growth. First, the collapse was started by mortgages but is the entire credit economy. People bought what they couldn’t afford and blame the people who sold it to them. This applies to credit cars, business lending, commercial real estate, everything. Why is there no agency that decides if I can ‘really’ afford the TV I want to buy, or that fancy dinner, or vacation? Second, a very small fraction of mortgages were actually fraudulent. In most cases, EVERY PARTY at the table wanted to believe what they were told – the buyers, sellers, mortgage brokers, real estate brokers, everyone. I actually agree that there were mis-aligned incentives – nobody at the table cared if the loan was good or not! One of my favorite scenes in the movie “My Cousin Vinny” occurs when Joe Pesci cross examines the storekeeper, who says it only took him a few minutes to cook his grits (so that he could return to a place where he could identify the defendants). Pesci asks whether the laws of nature were repealed in order to allow his grits to cook faster than all the other grits in the world. I wonder if those arguing US consumers were equally culpable for getting into these bad loans truly believe that Canadian consumers were somehow possessed of a supernatural self-restraint that allowed them, unlike US consumers, to be spared of the human motivation to take loans that let them get into houses they wanted to buy. Or might it possibly have been better laws? If the banks were responsible people, no amount of begging and pleading from consumers should have swayed the banks to make bad loans. This is why banks are MORE liable than customers. Same goes for doctors, right? A doctor who overdoses a patient who asks for drugs that might kill him should be more responsible, right? Wait a minute! I thought Simon said it was due to China manupulating its currency. One could argue it is up to the regulators to make sure the incentives are aligned with outcomes we want to produce. It’s the regulators jb to ensure the incentives don’t align the way they did. You have better laws, and fewer banks, which is better, and by a long shot. Hmm, that sounds familiar: it’s the Republican proposal for health care reform. Just substitute “insurer” for “lender” and “state” for “agency”. Of course, if you are unfamiliar with how this all works, and every financial expert you talk to, right up to Greenspan, is telling you that a home is an investment, you can understand how people might think they were making a good decision. We’re supposed to invest for retirement, right? So yeah. People should have known better. That’s not very helpful, really, is it? He claims that the present troubles resulted from the “rational behavior of borrowers and lenders responding to misaligned incentives, not fraud or borrower stupidity.” — Please, this guy is so full of it. So if I understand this correctly, I presume that Professor Zywicki would say that if a consumer had consulted an independent mortgage advisor, the consumer would have in most cases closed the loan anyway. If so, there should be no objection by the mortgage loan industry to having a federal mandate that ALL mortgage approvals require that the consumer consult a licensed advisor before signing a mortgage. The greater fool theory cannot be repealed. The Banks and financial institutions did not start the housing bubble, but once it did catch on for a variety of reasons, all that loose money, and policies fueled it into a frenzy, where the suckers are left holding the bag. A 10 percent mortgage rate in 2004 would have prevented this entire mess, so whose fault is it really? But it was in no one’s interests, including Uncle Sam to see that happen. Not very helpful in the sense that the masses are ignorant of everything, and those of us in the know will take advantage of the these people for own personal gain. And only the government can protect the masses from us, because the government is only out for the best interests of the masses? And on top of all that, the US can have a sustained 3-4 percent growth, low interest rates, a consumption economy, without bubbles, and the subsequent busts. Technocrats always looking for solutions when there are none. Our pre-fontal cortex is too small and adrenal glands are too big as Christopher Hitchens once said. Maybe the neuro-economists, game theorists, system and network theorists, will figure it out, but I doubt it. Humans are strange creatures. And how many professors are there in the U.S. who teach consumer law? Where does the rest stand and why? I’m a retired middle market banker and you will also get no disagreement from me. I think the premise of this argument is correct, it was uncontrolled lending that caused the crisis. However, it was also uncontrolled borrowing on the part of consumers. I don’t know how old the rest of you are, but I graduated college in 1981 and got my first real job, worked my way up for a couple of years and applied for my first credit card after I had become a store manager. It was a gasoline card and I was turned down because I didn’t have any credit history. I had an aunt who worked for a small bank in Alabama for 50 years, eventually rising to become the second female bank president in the state. In the late ’70’s, her bank granted a small business loan to a gentleman to open a gas station. He then came in and gave each employee credit card applications. She, as president, was turned down because she did not have any credit history. The age of easy credit didn’t start until the late 1980’s. It was at this time that deregulation really began to take hold and someone in the banking business realized the fortune to be made by relaxing credit standards. At the same time, inflation began to erode middle class wages and more and more people turned to credit to stay afloat. I imagine that we all knew people who had a wallet full of credit cards: Mastercard, Visa, American Express, Discover, gas cards, department store cards. We might have even had them ourselves. No one forced us to take these cards, but they sure made it easier for us to get them. As time went on and the housing market took off, lenders started seeing that prospective borrowers were deep in debt and could not afford the mortgages needed to keep the housing bubble growing. They therefore created and pushed such options as ARMs and Interest Only loans, which gave the borrower the ability to get that new home at a payment they could afford, but with an axe hanging over their heads in the form of a looming adjustment. Most were told not to worry because the housing market was a gold mine and the way prices were going up, we could all sell our homes and make enough money to buy even bigger homes. Also, the huge growth in home prices encouraged people to take out second mortgages in order to pay off those credit cards at lower interest rates. Of course, many then charged those same credit cards back up where they had them when they took the second mortgage out. The bottom line is that there is no one entity to blame for the crisis we are in; not the banks themselves, not the CRA, not the regulators, not the consumers; rather it is a combination of economic policies on the part of our government, unregulated growth and strategic opportunism in the financial industry and a consumer who was blind to the realities of easy credit. The ensuing discussion about the role of consumer protection laws, in this case is entirely irrelevent. and you get a clearer picture of what went on and what needs attention to prevent this ever happening again. If that helps quiet the populist furor aimed at “greedy subprime borrowers”, so much the better. If there’s no supply of funds to lend for mortgages there’s little risk of abuse of consumer protection laws. Let’s take a step back. Its 2005-2006. We’re in a zero rate environment. An extended period of low rates always results in excess credit. The world’s awash in cash seeking yield. The asset class of choice, houses. Buckets of cash sitting in funds looking for something safe as houses. No problem, savers. We’ll get you into houses, say the IBs. Notice goes out to the lenders, if you lend it, we will fund it, no questions asked. Lenders hand out the money as instructed. The longer this goes on the lower the quality of the loan but oddly the quality of the package containing these loans remains rated high, so even more money becomes available. At a certain point, I’d say mid 2005, everyone with a pulse knows some kind of con is on (including the subprime borrowers). The question is why was there so much cash available to lend to hapless borrowers against inflated assets? At some point after 2005, those who wanted to massively short the housing market were pouring tons of money into the market to fund increasingly crappy loans via highly rated bonds. At the same time the IBs figured out a way to sell offsetting, and also highly rated, bonds that insured the increasingly crappy bonds. That was the clever bit. There were ready buyers for those highly rated insurance bonds (the shorts). As long as the insurance bonds could be sold to investors who may not have realized they were on the hook for the performance of the crap bonds, the game went on and money poured into inflated housing. At some point, way before 2005, it was clear to everyone but the rating agencies that the subprime borrower was just there for his signature. He was simply the pawn used to rob Peter (the original lenders-thats you and me through our savings, and the hapless banks who were left with too much of the wharehoused loans when the music stopped) to pay Paul (the shorts). Would the money have been there to lend to the dodgy creditor if the rating agencies were doing their job? Would the country be faced with epic foreclosures and community destruction if they had done their job? In this case consumer protection laws against malpractice by the rating agencies is the greater consumer protection. Laws that would have prevented the original banks from making the loans might have helped, but that’s attacking the critical issue from the wrong end. Its just astounding that the consensus view seems to be “well, the rating agencies were dopes. But nobody’s perfect” leads us to instead focus on complex solutions to problems, like excessive predatory mortgage lending, elaborate abuses through derivatives, and massive losses hidden in shadow banks, that wouldn’t even exist if the rating agencies could simply reliably rate debt. Lehman, Bear, even AIG would probably still exist and TARP, etc would not if the agencies had never rated any of the debt that brought them all down. This crisis is not the fault of subprime borrowers. So long as money is being made, there will be economists to justify their loot. That they’re still trying to justify (rather than prosecute) the fraudsters and scammers who wrote these irrational mortgages and then passed them along to the unsuspecting, shows just how far gone we are. But starting in 2000, we had something that had never happened before in history. A President dedicated all the resources of government and an immensely loyal private sector toward building and financing 5.5 million extra houses for minority home buyers – to be financed largely with liar loans – by the completion of what he hoped would be his second term. And immediately after announcing that plan, the graphs start going steeply upward. And all 5.5 million of then were built by the end of his 2nd term, and they were, by a wide majority, financed with liar loans. Mission accomplished. Sounds like one entity led it to me. At the origination level, there will be a lot of fraud prosecutions. There were in the S&L crisis. In Texas some real estate appraisers actually sobered up and got religion. I wholeheartedly agree with the need for aggressive consumer protection, centralized, which focuses on false and/or misleading lending practices, as well a credit card rules, use of debit cards, bank account fees, overdraft protection, etc. Having said that, I see the ratings agencies as a strong contender for prime responsibility for the construction of the bubble, since these agencies were complicit in rating AAA the bond issuance (and therefore CDO’s and default swaps) that enabled the packaging of incredibly weak performing loans, and selling them into an unsuspecting market. Let’s face it, a great deal of the bond selling contibuted mightily to the bubble construction. The bottom line, of course, in all of what happened was a nearly complete failure of transparency, which resulted in bogus borrowing, bogus investment, and a vast weakening of the completely and utterly overleveraged banking community. And, of course, with Gramm, and without Glass-Steagall, the banks were in a perfect position to keep heaping the market with financial sewage. The only thing that makes an appraiser worth his fee is his integrity. The same goes for the rating agencies. But the people who were slicing up mortgages and packaging good with the bad didn’t see it that way, and they were the ones paying the rating agencies. They wanted to sell their murky crap for the highest price, and dangled a lot of fees before agencies eyes to give them the highest rating possible. So despite ascertaining the risk of the murky crap being impossible, the agencies just slapped high ratings on it. Without the ability to pass on the risk, the originators would not have made the loans. Thus, the rating agencies are most at fault, but the buyers of the murky crap come in a close second. Only idiots, or really good friends, buy products based on ratings paid for by sellers. No lender I know of will accept an appraisal paid for by the seller. Change the incentives by requiring the securities’ buyer pay for the rating of the instruments. As much as I have come to dislike Bush, and as much as I understand that the bulk of the housing bubble happened during his administration, I don’t think we can lay the blame entirely on him. The groundwork for this crisis was layed long before Bush came to power. Americans were riding the debt train for roughly 15 years before Bush took office. Personal savings rates were dropping and inflation was rising faster than middle and working class incomes during this same time frame. When W took office, this country was feeling the effects of the dot com recession. Our homes were seen as our best investment, but so many people were debt ridden that that investment was jeopardized. One answer was lower interest rates and trick mortgages (ARM’s and Interest only loans), which allowed us all to invest in larger homes and created a thriving, seemingly endlessly rising housing market. Lot’s of money was being made and the economy thrived. Many people other than Bush had an interest in keeping this market going: the Fed, which saw the effect low interest rates had on the economy; lending institutions, which were making a fortune (and, by the way, had found a way to lessen their risk – derivitives); the American people, who found they could buy a house, live in it for a few years, then sell it and make several thousand dollars profit (this also led to the new industry of house flipping as a lot of Americans found they could buy a house at the lower end of the price range, spend a few thousand on repairs and sell it for much more). Bush needed a thriving economy so he could fight two wars, one forced on us and one of his choosing, and the housing bubble was just the ticket. He can’t, however, shoulder the entire blame. Like I say, it is just astonishing. He organized the construction and financing and sale of 5.5 million ADDITIONAL houses in 8 years. They are extra; above and beyond normal demand. Do other people support housing? Of course, but the above is perhaps the biggest steroid injection in the history of the universe. blaming the victims is another reversal that the con men utilize to falsely dichotomize the direction and focus upon truth and guilt. From the start, the derivatives were not precisely after the housing…only the mortgages to tranche and sell into their parlor game of transactive soeculation. The housing was compromised entirely by private sector baks dumping the subprime loans over to the Government guranteed stockpile after they squezzed out what they wanted. Youdo the rest of the tinking on that one because the same old brainwashing keeps repeating the same old cover story ad nauseum. The truth is that private equity and the privitizing boys who have imprgnated Washington like a shadow government had intentions of wrecking those subprime reale state institution (FNM/FRE) which is well documented since 1990 and fully expressed by (among others (Paulson) at the onset staging of the imminent crisis in Late August/early September 2008. These guys want to own that vast amount of equity that sits beneith those default lines of bad debt. When they do (they have demanded a “central style auction block…of course non of this will go to the people if they get their way) they will own the real estate at a controlloing interet for all developmwemt and ownership of the richest country in the world…and the people attached to its dependence. The new Surfdom arrives. This guy is a pure currupted and distorted fraud. He represents interests and not the American People. The pursuit of happines for every American and the dream to own one’s own home (guranteed HE HAS ONE) is now ashes in our mouths and swiped over by his universal accusation that it was the herd instinct demanding that these poor bankers submit to their unconntrollable compulsion to buy houses with their childrens peanut butter sandwiches! AND THEY DUTIFULLY DID SO. If we had a decent media with any intelligence thisguy could not sit up there and make such prpaganda work. He is part of the slanted frontmen; His argument is fallacious, and his arrogance is INSULTINGLY perverted. His true message is that the Fox should be taking over the Hen House’s now, because the Hen’s willdo so much betterwhen they are deregulated and privitized under the benevolent teeth of the “INDER AND GENTILER” “NEW AND IMPOVED” FOX. There’s really a very simple solution to all this credit nonsense. Simply legislate a law that freezes an account balance if a consumer cancels a credit card, credit line or mortgage. Meaning, that no further interest can accrue on a balance once a consumer cancels his credit vehicle. Yes, the consumer would still be liable for the outstanding balance, but the balance would no longer grow. This in turn would force banks to set interest rates that are fair, genuinely competitive and affordable while also discouraging them from issuing credit to customers who cannot afford to sustain and maintain excessive debt levels. You heard it here first folks. Remember, the best ideas are always seemingly obvious once they’re unearthed. ©2010 BDS. All rights reserved. Let’s see, if you bought a house you got to itemize deductions and get a major tax break – about the only way the folks at the bottom have a chance of getting ahead. And no one talks about what was happening to rents during this period. Looks like an ultimate no-win situation for the folks at the bottom…but what’s new? I am still trying to figure out why adjustable rate mortgages make any sense at all when interest rates are extremely low. I got an ARM with 20% down and a 2% cap when fixed rates were 11% and my earning potential was on the rise – this worked out extremely well. I wouldn’t touch an ARM with interest rates below 7% and would not trust anyone who would offer the same. Did someone already comment? The reasons credit card borrowing got “out of hand” are rising prices and FALLING WAGES. Everyone’s borrowing for subsistence lifestyle. What is all this technical crap? THINK! I’ve been saying this for the last few years now. 1. Poor people who spent more money than they earned. 2. The piss poor regulators (esp. the SEC) who couldn’t get a handle on the situation and even ignored whistle blowers on numerous instances. In some cases, it is these same regulators who opened the flood dams which led to such egregious outcomes. I love how everyone thinks more/better regulation is the end all be all. The regulation mind set is what produced the quagmire in the first place: the audacity to think government officials can regulate the economy effectively through arbitrary interest rates, the regulators themselves that have little incentive to perform their job description due to the nature of their arbitrary power and the injustices that result from it, and finally the people who are to administer regulation are the most untrustworthy of the whole lot (politicians). How is every comment on this article NOT about Fannie and Freddie? No sane banker would have made these loans if they had to keep them on their books. Who needs sanity?, just sell it to Fannie/Freddie and book the profit. And if they did make the loans on the assumption of forever rising home prices and refinancing opportunities then they pay the price for their assumption in write downs or failure…its called capitalism. That has got to be THE misaligned incentive of the whole crisis. Misaligned incentive=fraud you say? Then congress is guilty of fraud. The have lorded over Fannie/Freddie with an agenda of their own for years. Where was regulation? It was serving the private agenda of arbitrary power as all government regulation schemes do. The bankers, as they have through out history, played the hand they were dealt – a hand where they could exchange duds for face cards at will, with the express backing of the US government. And of course all of this stems from a depressing trend of Americans believing/being told that they have a RIGHT to a house, or any number of other things (Health Care anyone?). So, of course, lets create yet another government agency to protect consumers from themselves. While they’re at it they can tell us what food we can eat, cars we can drive(No Toyotas for sure!Don’t wanna harm Government Motors), doctors we can see, and how to use our income. Maybe they can even assign us jobs! Get real people, the financial/credit/housing crisis is the direct result of Government interference, mismanagement,audacity, and all the like minded central planners out there that think the world economy and the individuals that make it up can be effectively controlled by force. And sadly, it is not even close to being over….Courtesy of Uncle Sam and Keynesian economists. Sincerely I do not think this article adds a lot. There was enough fraud, misaligned incentives and plain stupidity to go around for everyone… though I must say that personally I blame foremost the financial regulators…they were the ones who were most supposed to know… that was what they were being paid for! Wasn’t it Greenspan that had the authority to regulate the derivatives, but he didn’t believe in regulation, same as Jeff Moore above, and therefore did nothing? That would be a lack of will, not a lack of knowledge. And in that case, wouldn’t the ones responsible be the rating agencies that appeared bought off, not the regulators? Simply cannot fathom anything “rational” about a consumer getting a loan he/she could not afford. That is not rational behavior. So the bank could rationally make quite a bit of money by throwing all lending standards out the window. No one (outside of Lehman) has been held accountable for the really terrible business practices that led to the collapse of our economy. In fact, the employees of AIG all felt entitled to massive bonuses, despite the failure of the their company – existing only because the US government owns 80 percent of the company is a massive business failure. But they got their bonuses anyway. Ratings agencies slapped AAA ratings on top of terrible financial instruments – why is that not criminally negligent? Banks approved loans by the thousands to people with no hope of paying them back. It’s NOT legal, right? So why has no one been held accountable for this? Our investment banking sector made really profitable bets that the US housing market would fail. They bet against the US housing market! Nice job if you can get it… And now Goldman speaks to the “risk” that comes with bad PR. Capitalism got dragged over a cliff in 2008. Our country could easily go bankrupt unless the business models followed by our financial sector change. Q. Who created such absurd large incentives to follow the AAAs as requiring only 1.6 percent in bank capital? A. The Regulators. With a third of votes counted, 93% of Icelanders have voted “No”, less than 2% back the deal, and the remaining votes are invalid. March 6 (Bloomberg) — “White House adviser Paul Volcker said the “abuse” of derivatives to hide the size of Greece’s budget deficit highlights the need for regulation and European Central Bank President Jean-Claude Trichet said derivatives still pose risks to financial stability. Alan Greenspan didn’t believe in regulation? He contradicts himself. The very position he held was that of a monetary regulator for the whole economy. He has since denounced his full faith in free markets as a mistake. But of course he did. When giving testimony to congress on the financial crisis he found it easier to denounce capitalism (which it wasn’t) than to admit that he, as official monetary regulator, failed. What he never realized (assumption) was that it was a failure of the premise itself; that the monetary economy cannot be effectively managed/planned by a government maestro. And where do you see the regulators that just because something had an AAA rating allowed for absurd low capital requirements for banks? 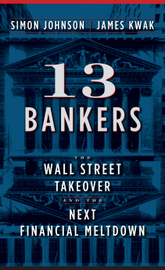 … 1.6 percent when lenders were private and zero percent when lenders were sovereign. I see a regulatory system that was elegantly designed and not bad as long as all parties fullfilled their responsibilities. If the ratings agencies could be relied on, the BIS fremework would have worked. Instead the BIS framework served to give an advantage to those that arb’d its key flaw (reliance on ratings). The framework, which was designed to provide global protections was gamed by those who spotted and exploited its flaws. Chinese government’s recent management of its housing bubble ought to be taken as a textbook case. In late 2008 the government correctly recognized that in order to quickly reverse the economic downturn, it’d have to engineer a housing bubble, for home building, housing market, and cocommitant financing collectively impact nearly half of the economy. It ordered the banks to slash the mortgage lending interest rate by a 70% discount, halved the downpayment requirement, and brought down transaction tax and fees from about 9% to about 2% of the price. Housing market transaction volume began to roar back in about a quarter, and by mid year housing prices began to skyrocket. A housing bubble was at hand. By July PBoC began to mop up liquidity through the window, and the CBRC, the banking regulartor, began to crack down on lending by measures including disqualifying interbank papers as capital. Asset market began to cool in Q3. In late Q4 transaction tax and fee holiday began to unwind, and CBRC began counter cyclic tightening by raising bank capital adequacy ratio, affected banks began to ration mortgage loans. In Q1 2010 housing market was seen to cool further, to the same level as the beginning of 2009, even as the pool of demand deposit continued to skyrocket, to the tune of a staggering 37% y-o-y increase. By comparison the US system is quite different, we could not get the congress to change the capital gain tax rate all that easily, but given the time between Greenspan’s Conumdrum and Bernanke’s FFR increase from 5.25% to 6.75%, there was more than enough time to do something, had our central bankers and White House economic advisors known better, at least more than just gazing at the CPI. I guess I do agree that we ought not to blame the victims for the crime. The problem is not a shortage of regulators, but why our existing economic and monetary policy makers in power then were all at sleep on the wheel. Just take a look at how beautifully the Chinese have done in managing their bubbles. Is there anything we could learn from their system and experience? No, even if the rating agencies had rate correctly, the system is at fault, because by requiring less capital of the banks for what is perceived as having low risk, it awards benefits on top of those benefits the coward capitals already awards to what is perceived as having low risk. And there is absolutely nothing that a society can gain by empowering risk-adverseness that much. The Chinese story is illuminating and demonstrates how powerful and effective central regulation can be, and could have been here if regulators didn’t have mixed motives. With the power they had US regulators could have clamped down on the ratings agencies and cooled the market for securitizations, or increased rates to increase the expense of borrowing. But neither would have done the trick as well as going directly after lending to consumers. Cooling the popularity of securitizations would have dampened the demand for mortgages to back them up, but there were/are all kinds of ways to market derrivatives (see Greece) that would have escaped the ratings agencies. Higher rates would probably just have increased the intricacy of the ARM slight-of-hand tactics. And then there was a trillion in open credit card lines as a result of improvident extensions of consumer credit. So none of the macro regulatory means would have as effectively solved the problem as regulating mortgage originations and unsecured consumer credit effectively through consumer lending rules. Of course every group shares some blame, from clueless buyers to clueless bankers to clueless investors. And of course there was fraud of some sort in every step of the transaction(s), but there is a need to see, and correct, the fraud that was the Big Kahuna in this whole fiasco. Look no further than the banks that knowingly sold C or D paper as A paper. Paying off the ratings firms so they could sell garbage as if it were filet mignon. For two decades I sold subprime(not Alt A) auto contracts to banks. Most banks were not interested in the least in buying my paper. Understandable, as high interest rates coupled with high default rates make a risky business. Right around 2002, bankers (some of whom were close friends) who would not even give me the time of day when I tried to sell them my paper at 17 or 18 for the last ten years, were knocking on my door trying to buy it for 11 or 12. Sheer insanity. There is no chance in the world of anyone making money on this paper at 15, let alone at 11 or 12. Even to a relative small timer like myself, the answer was obvious. They had a buyer for less than 11 or 12, and that buyer could not possiby be aware that the paper was incredibly high risk. Apply that to the mortgage markets, residential and commerical, do the math and the Big Kahuna(s) of the Great Recession are easily seen. I saw the same type of buy any yield in tax motivated real estate syndications over the years. What is the tax savings trumped any reality. In between the hype, I saw major players loaning non recourse commercial real estate with a 1 % capital interest in the eighties. These were development loans that were fully disbursed on completion no matter the actual cost involved at completion because they were also intended to finance the operations phases of developments until cash flow generated. Yet these were term loans that did not require sequestration of generated funds to amortize the loan . That is you kept the loan cash and cash flow by distributing it to the partners. The loans looked solely to the sale value of the property in commercial instances and it specifically said so in the loan documents. All for an extra point or two yield. All through the magic of Qualified Non Recourse Debt allocations. This collection blow up has been brewing for a very long time. I see greedy bankers as natural. Their balance is supposed to be wary buyers and insurance agencies. The buyers and insurance agencies were not wary enough. They bought/insured paper based on ratings provided by the sellers, via rating agencies that had to compete for the sellers’ business and chose to do so by eliminating their standards. When appraisers, who perform a similar service on a much smaller scale, do such, they get sued in civil court, have their licenses revoked, charged with fraud, fined, and thrown in jail if the fraud is serious enough. I haven’t heard that the rating agencies have faced any punishment. The Feds have removed from brokers and lenders the right to order an appraisal, as the VA has done for years, and FHA use to do, in order to eliminate the appraisers’ incentive to lower standards to compete for lenders’ business. The rating agencies incentive could be changed similarly. Expecting a change in nature is not productive. Relieving pressure to do the wrong thing is. Having higher reserve requirements and breaking up the big players makes since as well. More competition and greater ability to absorb errors are good. I am sorely tempted to argue with the title of this article. Securitization by the investment banksters made possible by fraudulent AAA ratings and compounded mightily by derivatives trading were are the heart of this firestorm, and it ain’t even close to over. Consumers were complicit and deceived themselves but they were defrauded, as well. Agree that the Fed chief is a regulator. A meddler in the “free market,” to plutocratic ends. Housing takes up way too much of most people’s incomes–it’s not hard to see how they bought into the line that paying down a mortgage with their “rent money” would enable them to actually “save” something. The financial interests the Fed ACTUALLY represents helped put them in that position and sought to benefit from it. Lining up the government to pick up the pieces enabled them to get off and get off rich. It’s just as true whether it’s mortgages or consumer debt or student loan debt for “jobs” that don’t materialize. The whole rotten bag. “Liberals” who want to defend consumers would do better NOT to defend their opportunities to loan money, but to MAKE money. But, it seems to me that many “liberals” see themselves as having benefitted from 30 years of down sizing, out sourcing, and price gouging, whether its in short term portfolio gains or in lower prices for certain goods and services. They’re not necessarily the best defenders of the interests of the working classes. This is NOT to suggest that I’m opposed to consumer protection, I just think it’s completely inadequate in and of itself when it comes to the interests of would-be home owners. Arguments about the title notwithstanding, it is an excellent piece. Frankly this site in general is an asset to the nation if not the world. Now if we can get the damn politicians to listen to it. 93% of Iceland’s voters just rejected “Icesave”. The people spoke. So what’s wrong with America? We are not exempt from these troubles, not at all, and measuring the size of the hole in the Titanic does nothing to plug it. The Other Washington is part of the problem, if not THE problem. It’s political.